I) if mnp is done then all the calls will be routed through old service provider or i get calls directly from my new provider. Thank you Saket, for this great information. I was also wondering about the details of MNP. You’ve comprehensively taken up this issue. Great job! thanks for giving this information! I like it…. The way your doing job in Internet dear…. 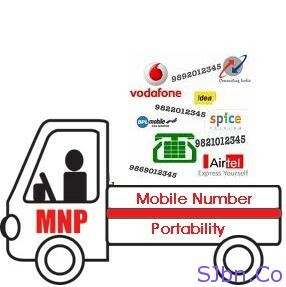 i got full information about MNP now…. it’s very interesting and knowledgeable information. Thanks for your detailed report om MNP. Keep up the good work and looking forward for more such informative articles. Thanks for this wonderful resource on MNP. Now i also know little bit about MNP. My number is registered in Do Not Disturb Registry. Will it continue to be there, should I switch to some other operator using MNP? No, you have to reactivate your DND (Do Not Disturb)… As when you port your number only your number will get ported with registration details and nothing else…. will sms for 1900 gets chargeD??? Is it MNP charging Rs.19/- for monthly, annually or only at time of registration? It will be charged once at the time of porting. You have cleared all very well! good info Saket, have u given info on any other subject. After gets porting, what will happen to my phone book numbers? Will i have to save it all again? Hi i just sent a sms to 1900 to port my number to vodafone but i didnt get any rply frm 1901. Pls tell me how long it will take to get a rply from 1901. I think you should go and talk with people at Vodafone, I will suggest to go to thir Vodafone store (not mini store) and have a talk with them. Hi, I have a pre-paid connection but that is in a friend's name. Will I be able to apply for MNP for that pre-paid for a new postpaid in my name? MNP is for changing from one service to another, it is not for changing pre-paid to post-paid or for changing registration name. And if you want to apply all three I don't think it is possible, however you can give a try or you can do is first change the pre-paid to post-paid and registration name then apply for MNP. Can I port form one circle to another? for e.g, can i post my Kerala BSNL number to Tamilnadu Vodafone number? No, you can't do using MNP. i have applied for mnp from airtel to aircel. After a day i got a call from airtel and they offered very cheap rated calls without any extra charge after that offer i used to cancel my request by sms within 36 hrs. but they hv mis-committed me any the call rate were not changed. its already 7 days gone and i did’nt get any kind of further alert for my request whether it has been done or not. will u pls suggest me, should I use mnp for change my operator from vodafone to airtel as I heard that internet speed is better in airtel connection ? I use Vodafone but I don't use GPRS on my phone, I have heard Airtel is good but I will suggest you to ask people who use GPRS on Airtel and speed also depends on area to area. first time i ported the number then i quick got upc but after expire i resend the request for porting it takes time. why? For this you need to ask your Customer Care.